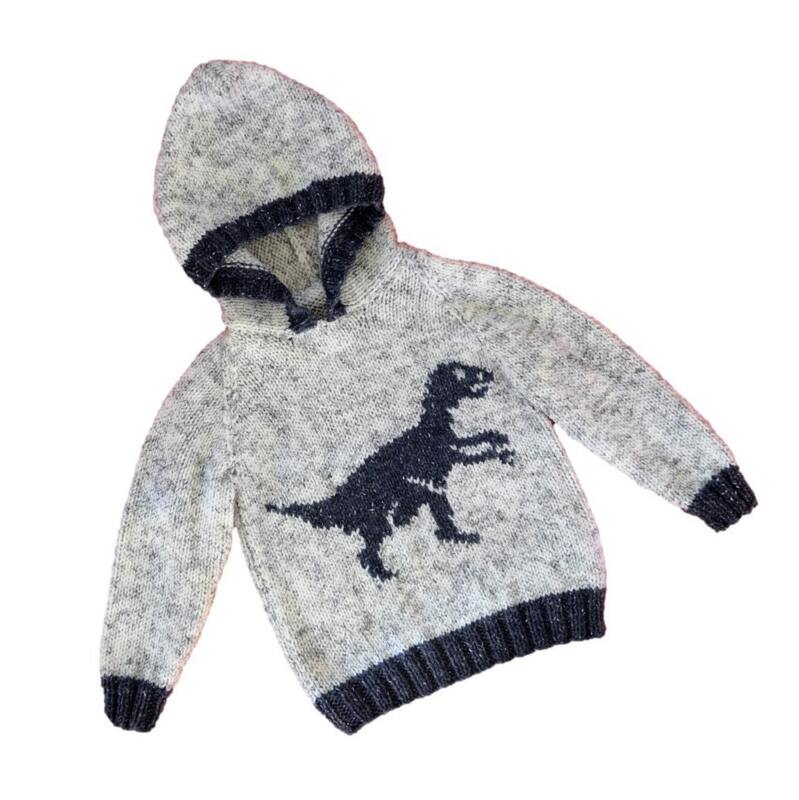 A knitting pattern for a sweater with hood - your youngster will love to wear this dinosaur hoodie! 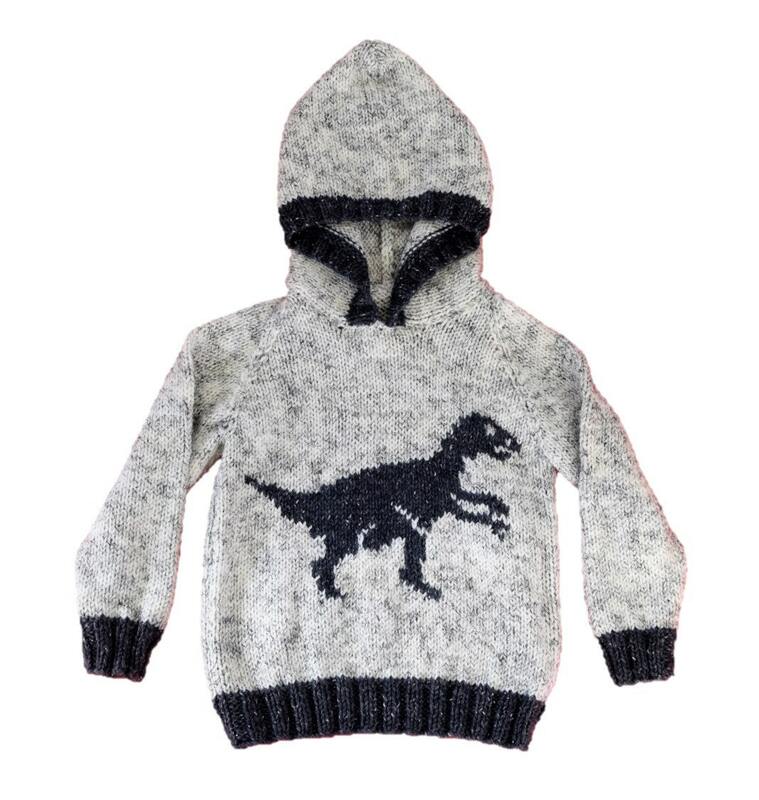 The jumper features a Dinosaur (Velociraptor) on the front and the ribs are knitted in a contrast yarn. 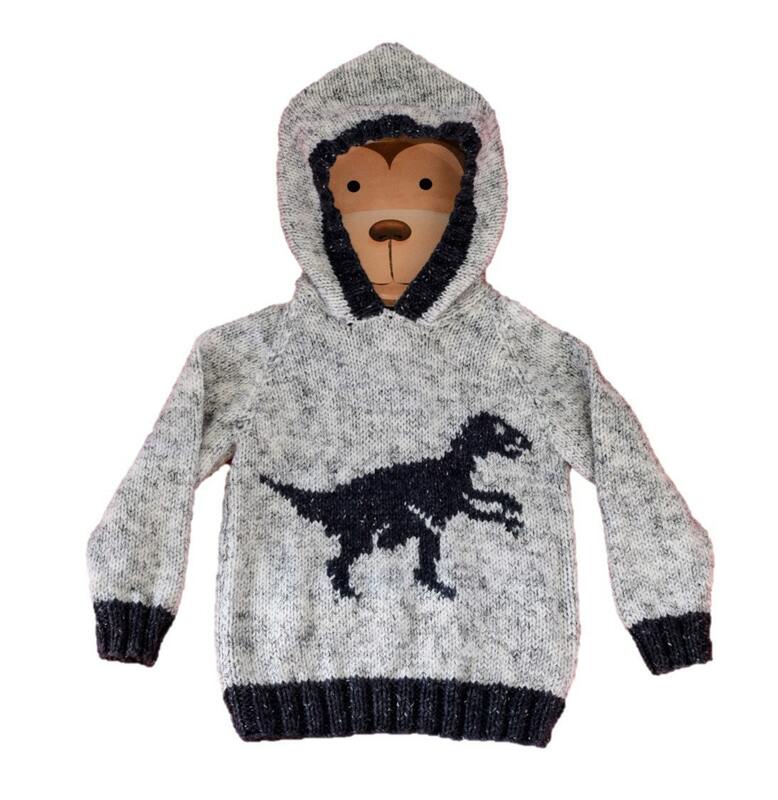 This is a striking, warm and trendy sweater for children from 2 to 12 years. 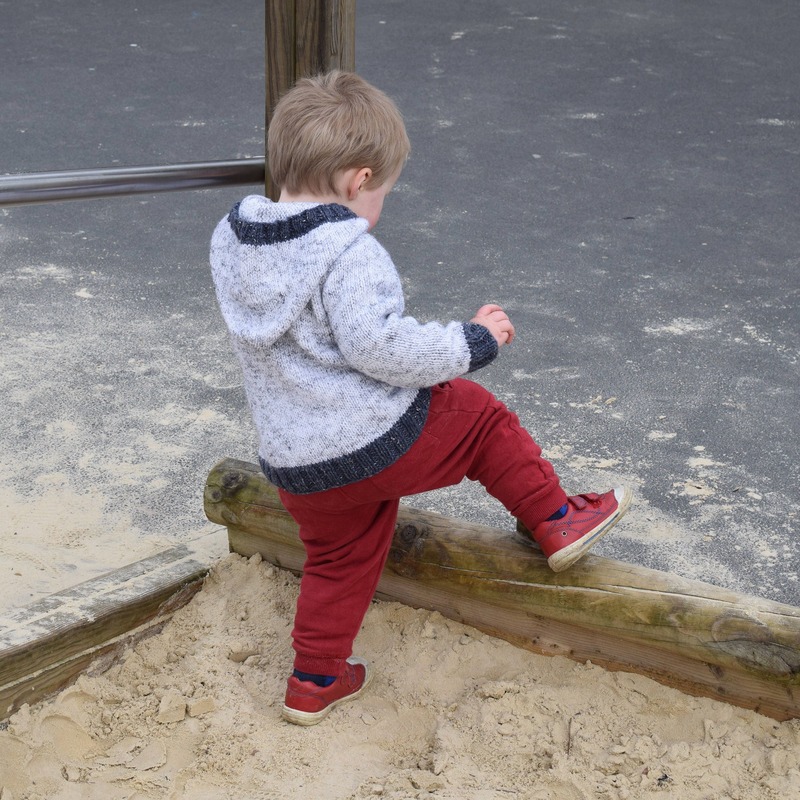 Two Colours used. Any Aran/Worsted yarn (10 ply) can be used so long as it matches the tension – 18 sts and 24 rows to 10 cm (4 inches) over stocking stitch using 5mm needles. An easy and quick design to knit. 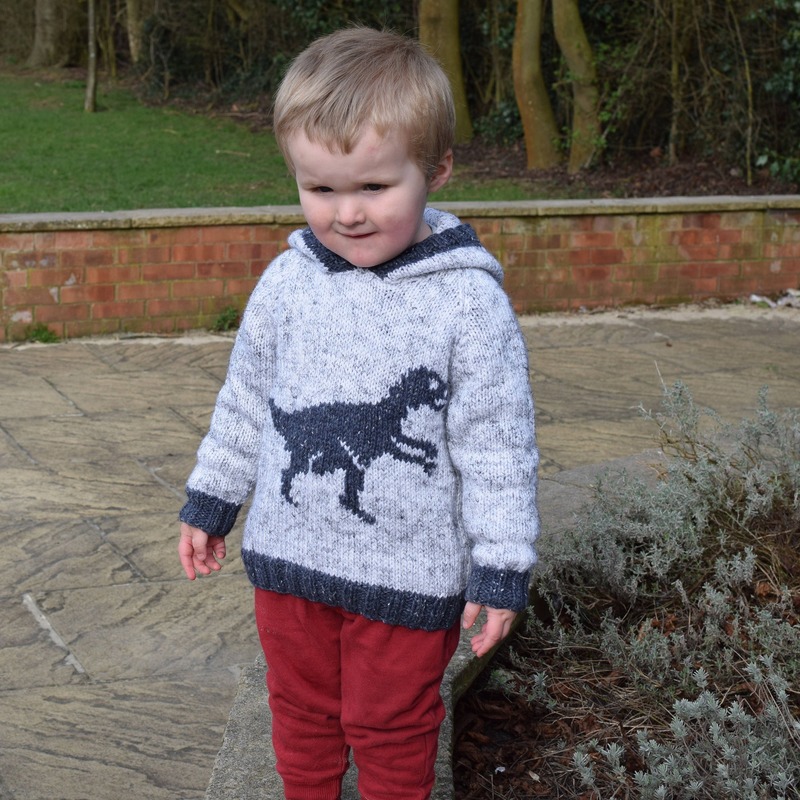 The pattern includes colour coded sizes for ages from 2 to 12 years and a large full-page coloured intarsia chart for the Velociraptor.